Blood sugar levels fluctuate all the time and for many different reasons. If living with diabetes, these fluctuations can be problematic, debilitating, and even dangerous for some. By better understanding the factors that trigger these events, you can avoid many of the ill effects of the disease and better manage your condition over the long term. When you eat, your blood sugar will rise as the foods you consume are metabolized and enter the bloodstream. The types of food you eat, therefore, are key to controlling your disease. Simple carbohydrates and high-sugar foods, for example, cause bigger spikes in blood glucose than either protein, fats, and complex carbs. Understanding this can help you direct your eating habits. To avoid fluctuations, focus on foods that are lower on the glycemic index. This is the index that rates carbohydrates by how much they affect blood sugar. Carbs like candy, cake, and cookies have a high glycemic index, while whole-grain bread, yams, and oatmeal have a low glycemic index. Fiber is also an important part of a diabetic diet. Although fiber is a carbohydrate, it doesn't raise blood sugar like other carbs. In fact, high fiber intake is associated with decreased glucose levels in people with type 2 diabetes. What you drink matters just much as what you eat. This is especially true when it comes to alcohol. Alcoholic beverages of any type are known to increase insulin production which, in turn, causes an associated drop in blood sugar. On the flip side, certain alcoholic drinks can raise blood sugar due to the carbohydrates contained in them. Beer has the highest count overall with 13 grams of carbohydrate per 12-ounce serving. Wine, by contrast, has only around one gram, while spirits have none. Exercise is good if you have diabetes, but exercising too much can lower your blood sugar dramatically. In fact, the longer and harder you workout, the more likely you will be to experience hypoglycemia (the abnormal and potentially dangerous drop in blood sugar). To determine what's right for you, start slowly and record your glucose levels before and after each workout. Based on the results, you can better identify what you need to do to maintain your ideal levels, whether it be adjusting your medications, the foods you eat, or the duration of the workout. Hormones can play havoc with your blood sugar, especially during menstruation. The simple fact that the same hormones that control your menstrual cycle can sometimes dramatically affect your blood sugar. 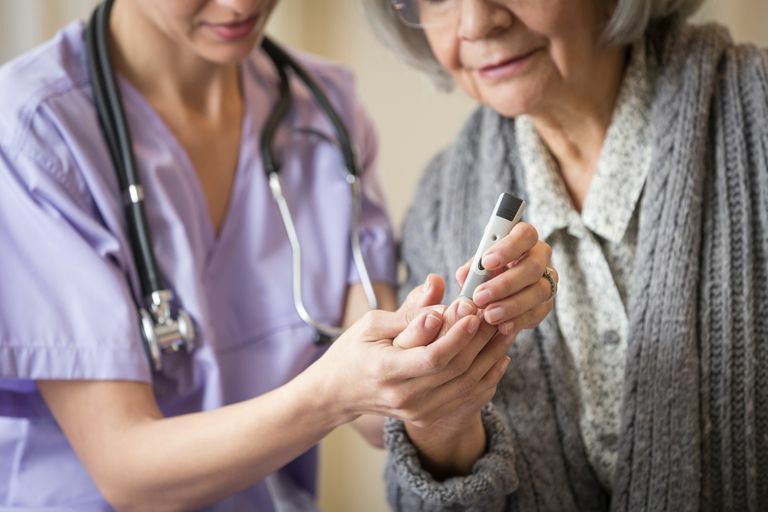 Two or three days before menstruation, as estrogen and progesterone levels begin to rise, women will often notice that their insulin needs increase as the blood sugars also begin to rise. In women whose diabetes is out of control, high blood sugar increases the risk of vaginal and yeast infections and can interfere with the menstrual cycle itself. As with exercise, monitoring your blood glucose allows you to adjust your medications and diet to better control blood sugar. Exercise is also beneficial. Stress is associated with the production of a hormone called cortisol (popularly referred to as the "stress hormone"). Under stressful conditions, cortisol provides the body with glucose by tapping into the protein reserves of the liver. This ensures the body has the energy it needs to deal with high-stress situations. However, excessive stress can cause the overproduction of cortisol, leading to a potentially dangerous spike in blood sugar known as hyperglycemia. Exercise is a great way to deal with stress, counteracting the high blood sugar that can rapidly accumulate. To avoid stress, practice progressive muscle relaxation, deep breathing, meditation, and visualization techniques. If these don't work, ask your doctor for a referral to a counselor or psychologist who may be able to help. American Diabetes Association. "Standards of Medical Care in Diabetes – 2015." Diabetes Care. 2015; 38(Suppl 1): S1-90. DOI: 10.2337/diaclin.33.2.97. Engler, P.; Ramsey, S. and Smith, R. "Alcohol use of diabetes patients: The need for assessment and intervention." Acta Diabetol. 2013; 50(2): 93-9. DOI: 10.1007/s00592-010-0200-x.